T.C.O. 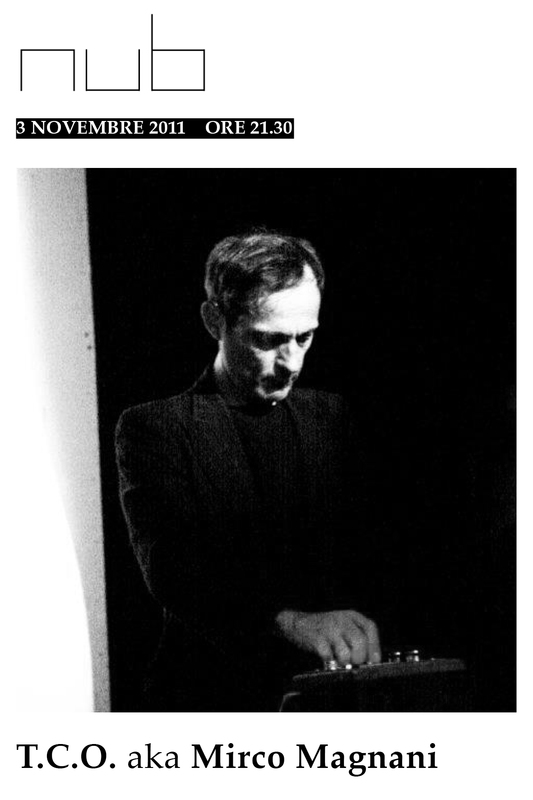 aka Mirco Magnani is a music composer and video artist based in Berlin, co-founder and composer of Minox, Technophonic Chamber Orchestra, 4Dkiller, also producer for various artists from his own independent music label Suite inc. co-founded in 1996. Since 1984 he has produced music and mixed-media events by the band Minox. In 2000 was created Suitevision, sublabel dedicated to images and visuals, Mirco Magnani has produced by himself and with the label partner several visuals and installations. He has worked with Steven Brown, Blaine L. Reininger and Luc Van Lieschout of Tuxedomoon, Lydia Lunch, Krisma, Mad Professor, Nobukazu Takemura, The Gentle People, Murcof, Daedelus. In 2004 Mirco started his solo project T.C.O by Decompositio Sonata an audio visual for a remixing project of classical composers from the past century. In 2009 he moved to Berlin developing his projects between exhibitions, live shows and dj sets.